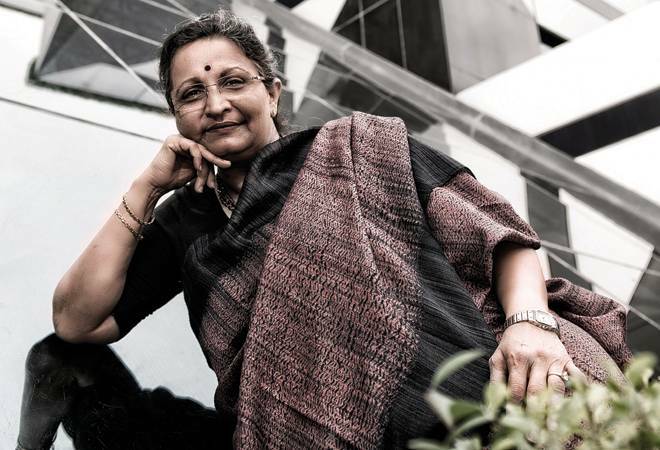 "Growth on an all India basis is reasonably robust with peripheries of metros, tier II and tier III towns being extremely strong," says Renu Sud Karnad, MD, HDFC Ltd, in an interview with Naveen Kumar, where she shares her views on a range of issues affecting the real estate and home loan sectors in India. Given the volatile crude oil prices, where do you see interest rates on home loans moving in the near future? Crude oil prices have been extremely volatile. It is rare to see crude prices move over 5 per cent in a single day, which has happened twice in November. Fortunately for India, crude falling so sharply from $80-plus levels to around $60 in a span of a couple of weeks has reduced the pressure on the fiscal deficit front. Also, the recent dovish statements from the Fed chairman on interest rates (in the US) augurs well for interest rates in India to remain benign for the near term as compared to a scenario of interest rates moving higher post macro developments like high crude prices and strong dollar between September and mid-November. Having said that, I feel, a slight change of 20-25 basis points either way does not bring a huge change in the EMIs of home buyers and thus will not have a great impact on the mood of the real buyers who are in search of a home to live. Over the past 15 years, we have seen at least three interest rate cycles ranging between 7.25 per cent and 11.5 per cent. The current rates of below 9 per cent are still closer to the lower end. Further, the tremendous increase in fiscal benefits and interest rate subsidy under the PMAY schemes results in an effective interest rate of close to 4 per cent for a loan amount of Rs27 lakh, which is HDFC's average loan size, making it the most attractive effective rate ever. Given the slow implementation of RERA (Real Estate (Regulation and Development) Act) in various states, when can we see it being uniformly implemented across India? Real estate is a state subject, so the manner and pace of RERA's implementation in each state will differ. The Act is a confidence builder for the consumer. It will make the sector move from being largely unorganised to being organised, and lead to a much needed consolidation in the real estate sector. It is changing the way the industry operates and has brought in greater transparency. There was short-term disruption on the supply side as many small developers took time to understand and meet the RERA requirements. I expect some smaller or weaker developers, which are unable to manage RERA's requirements, to either join hands with well-established and reputed developers or move out of the business, leading to much needed consolidation. What has been the trend in home loan demand after demonetisation? Demonetisation may have mostly affected the non-salaried class, that too largely in the unorganised sector. Over 85% of our customers are salaried tax payers or professionals. In India, there are pockets of strong growth and pockets of not-so-strong growth. Mumbai, Gujarat, parts of central and south India, and Bangalore have shown relatively strong growth. Some cities are growing rapidly, while some are affected by oversupply. It is very area specific. On an all India basis, growth is reasonably robust with peripheries of metros, tier II and tier III towns being extremely strong. But in some premium locations such as south-central Mumbai, the slowdown is still evident. What has been the impact of demonetisation on the demand for houses by end-users and investors? Investors were out of the real estate market much before demonetisation as it was not rewarding to invest in real estate. Also, real estate is a relatively illiquid asset with a huge upfront transaction cost. Demonetisation has helped the housing sector reduce the black money menace. Also, higher income disclosures and the so-called unproductive money moving into the formal economy have improved prospects for buyers to buy homes both in the primary and secondary markets as they can finance the property by taking a larger loan subject to their repayment capacity. With property prices being stable over the past couple of years, relatively low interest rates, higher income levels, subsidies for first-time buyers (PMAY), fiscal benefits, expected economic growth, etc., I would say it is perhaps the best time for an end-user to buy a house. Has the average home loan ticket size changed? What has been the impact of affordable housing under PMAY? In July, HDFC was named the best performing primary lending institution in the category of Credit Linked Subsidy Scheme (CLSS) for EWS (economically weaker sections) and LIG (lower income groups), and the second best in the middle income group (MIG) category. As of June 30, 2018, our average loan size was Rs26.7 lakh and the average home loan to the EWS and LIG segment stood at Rs10.1 lakh and Rs17.6 lakh, respectively. We are seeing healthy demand from the affordable housing segment. In terms of volume, 37% of approved home loans, and 19% in value terms, have been to customers from the EWS and LIG segments. On an average, HDFC has been approving around 8,300 loans monthly to the EWS and LIG segments, with the monthly average approvals at about Rs1,346 crore. Is the average age of a home buyer still reducing? What is the average repayment period? The average age of home loan borrowers has come down from about 43 years in 1991 to around 39 years currently. So, there is no big change, which is understandable given the nature and culture of Indian society. On an average, the loan period at origination at HDFC is around 13 years but people do pre-pay faster by increasing their EMIs or making part or full prepayments thus bringing down the average duration of the loan to around 5 years.